Innovation: Flex Automotive Solutions has integrated three interior products to improve user experience with an advanced EV cockpit. Airbender, a cockpit domain controller, combines six controllers into one compact unit. NOMI, an in-vehicle artificial intelligence system, can recognize driver and passengers, control music and operate a camera to take photos. 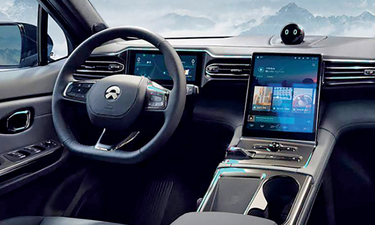 The console features capacitive touch switches, tinted lenses and an overhead camera that detects children and monitors seat belt usage, among other functions.